....so now I'm starting a new thread for the benefit of 2 of our members who recently contacted me about their plans to ditch their downdrafts and go with a single side draft carb and manifold instead. The reason for their switch? Both are seeking a more reliable, more stable, more power, set up. 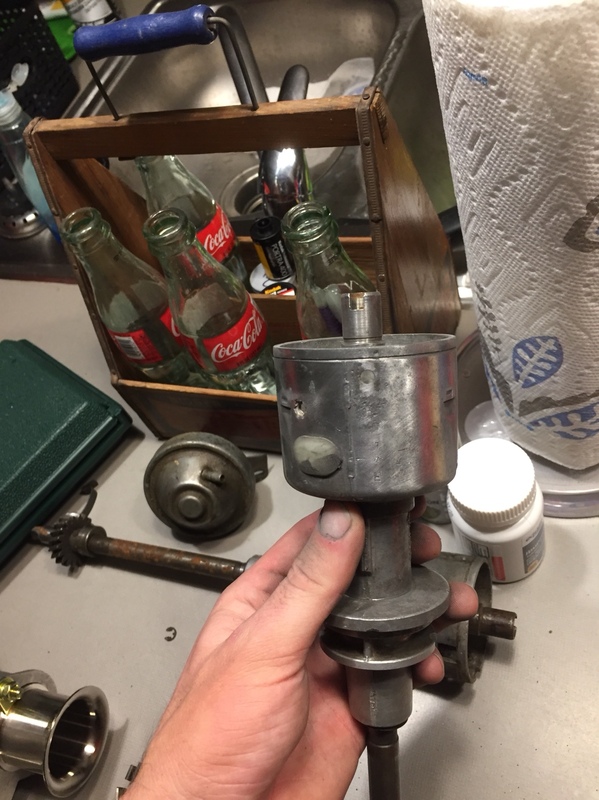 To get things started, there are two main things that will need to be changed with the jetting and carb set up, as compared to the well-known DUAL side draft set up jetting scenarios. 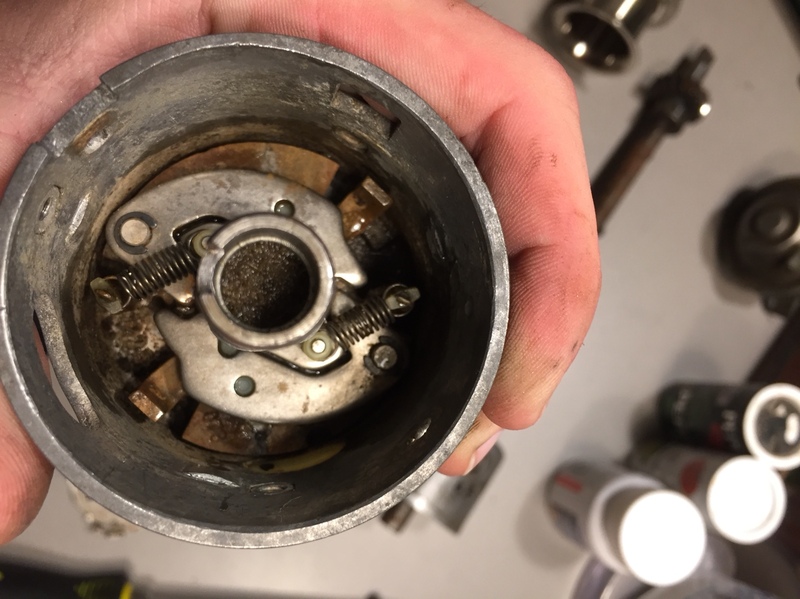 First, you have to put the largest fuel bowl inlet valve in the carb, second, you will likely need to increase the Main jet size by 30-40. Another set of things that will need to be addressed, is how are you going to actuate the carb, air horn length, air horn filters/screens or an air box with filter, and what to do about the PCV function of the big hose to the valve cover. Air horns look cool. Looooong air horns look even cooler. But you have a GT, so looooong air horns are pretty much out of the question. From my personal, non-racing, casual, weekend fun, experience, air horn length means absolutely nothing. I noticed no difference whatsoever between 60mm, 40mm, 25mm, and no horns at all an air box and a big K+N filter. I'll just leave it at that. That's my experience and that's all I have to say. Air filtration and what to do about the PCV hose from the valve cover go hand-in-hand. You guys can refer to my 2.4 with SSD threads and my Gordo's GTX threads to look at all the different horn length and filter screen and big hose experiments I have tried. If you go with just screens on the horns, stuff will get into your carb. Not much, but some. If you get the dual-horn screen I tried and install the big hose in it, it will work great. Or you can go the air/oil separator route I'm currently using. Or you can run the hose out the bottom of the car and feel guilty that you're a filthy, dirty, polluter who is coating his car's underside with oil vapor. I researched the concept of maximizing air flow and minimizing restriction in a suction system and came to the conclusion that suction is not linear, but instead draws air relatively equally from all directions. Forced or blown air IS linear and tends to blow in a straight line. Therefore, to maximize air flow to your side draft, you want there to be a lot of room, in all directions, around the vicinity of your air horns. My experimental solution was to build the biggest air box I could fit into the area, cold air intake tubing, and a K+N filter on the front side of the radiator. My big hose goes to the air box(after passing through my air/oil separator). My current system is the best, cleanest, highest air flowing, no fuss and bother system I have come up with so far. This is what I have observed over my many experiments, if you disagree with my conclusions, feel free to comment. I started this thread so that folks going or gone the SSD route could choose various options or tell us about their set ups, opinions, and jetting scenarios on their single side draft set ups. Actuating the carb can be done with the oem solid linkage or via a cable throttle mod. OGTS/Splendid offer a special length, adjustable, linkage rod that goes from the firewall to the carb. It is ONLY for the Midikit style of SSD manifold, it will not work on the new Steinmetz SSD manifold. You'll have to come up with a cool solid linkage mod(like I did ) to operate the carb on a Steinmetz manifold or go with cable throttle. There are many threads and ways to go to make a cable throttle, I can't help your there very much. You could buy a Mangoletsi gizmo to handle the carb end of things, but you'll need to come up with a mod to connect the cable to the gas pedal or early part of the solid linkage. Or you can look into aftermarket cable throttle/gas pedal systems. That's it for now, later I'll post some jetting scenarios and tips for setting up the carb. If you have a 40DCOE SSD on a 2.0 set up on your Opel, please tell us how you have your carb set up and your basic adjustments! Also Otto's post recommended 5.0mm aux venturies, but I can't find them in stock anywhere so i'll be trying the stock 5mm ones. Here's what I have scratched down now. For Otto's 2.2L Single Side Draft! For P.J Romano's 2.0L with Isky Cam DUAL SIDE DRAFTS!!! For dmcbrass' 2.0L with Isky cam (still tuning) DUAL SIDE DRAFTS!!! I ordered a MIDIKIT from splendid parts. It comes with everything you need to bolt it to the car except for a new intake/exhaust gasket and the linkage adapter that they also sell. The midikit is an historically accurate kit that provided a 20HP gain on a stock 1.9L. 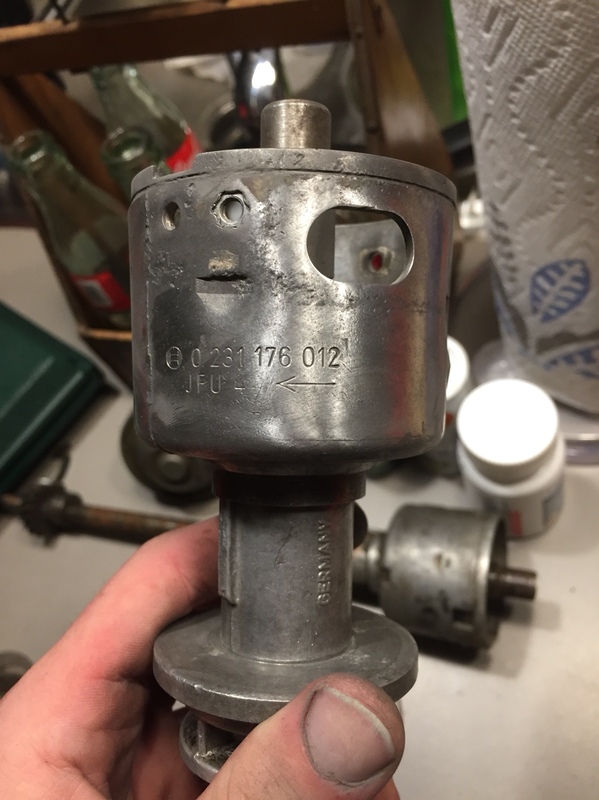 I'm going to thread in the "opel tree" from a stock manifold to handle brake booster. I will block off the vacuum retard as it isn't necessary on our engines. I will be using the metered orifice for the small hose on the valve cover and finding a way to use the large hose too. This is absolutely necessary on my car as my engine has a ton of crankcase pressure without them both working. 1. hook advance up to the manifold. Sounds good right? I'm not so sure. When the advance is hooked up correctly to a carb it has no vacuum at idle and it increases with throttle. The manifold has max vacuum at idle! This woulb be an issue likely. 2. Delete the advance hose. I guess you could artifically advance the timing 8-10 degrees. You don't get the mileage benefit of vac advance though and your idke is slightly rougher. 3. Get a 1975 dizzy. They have mechanical advance instead of vacuum. I'll probably go with #2. But i'd like some clear input on this. (2) Air filters. I'll probably run the mesh screens, but am considering alternatives. It all depends on how much room I have. Weber reccomends having a support perpindicular to the carb (i.e a threaded rod from the engine mount to the bottom of the carb) I don't think i'm going to worry about this. Last edited by Knorm65; 11-27-2017 at 09:15 PM. Just a note: That was my setting for DSD, not SSD. The thing is... putting the right amount of air to the proper amount of fuel. Weber recommends having a support perpendicular to the carb (i.e a threaded rod from the engine mount to the bottom of the carb) I don't think i'm going to worry about this. PS - Doesn't the stock exhaust manifold/down tube have a bracket for a similar purpose on the stock engine (or did I sleep through that part of the movie)? I think you are thinking of the heat riser to the stock downdraft. I don’t think support was a primary purpose of that. Besides I’ve had headers for years on my GT so I don’t have that. Yes vertical support would be ideal, but I have never seen any side draft Z car, MG, etc, with a vertical support. I can find a few mentions of it online, but most of them are for race cars. I think it would be easier to check the carb to manifold bolts once a month instead. Stock 2.4, rebuilt to 2.5, with stock cast iron manifold to a custom RallyBob 2.25" headpipe to a 2.25" Magnaflow muffler, no resonator, a Y pipe instead and fancy tips. 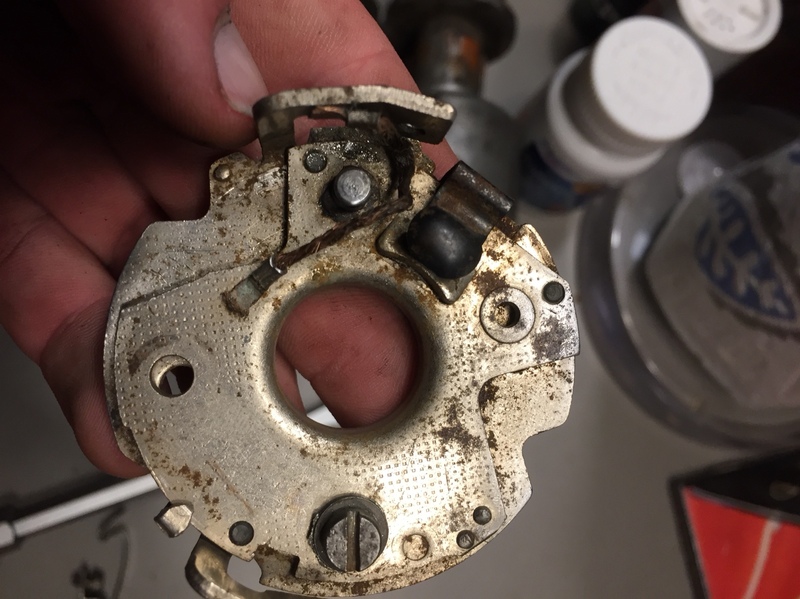 Accu-Fire ignition trigger in a locked plates, advance deleted, 20* of mechanical advance, '68 dizzy with an MSD ignition system. A new Spanish Weber 45 DCOE 9 carb going to a hogged out, supported/ported/and flowed by RallyBob for a 2.4, Midikit SSD manifold(now switched to a modded Steinmetz one). I did no changes to my set up when I went from a used 2.4 to a rebuilt 2.5 and switched from the Midikit to the Steinmetz manifold. Last edited by The Scifi Guy; 11-28-2017 at 09:16 AM. Hi guys. In this segment we will talk about preparing your distributor for losing vacuum advance with a DCOE. What I’ve researched so far. (1) do not hook up to manifold vacuum. Manifold and carb vacuum are reversed from each other. (2) post 1971 dizzys can be modified by swapping in Bosch 009 internals. This creates a true mechanical only dizzy. 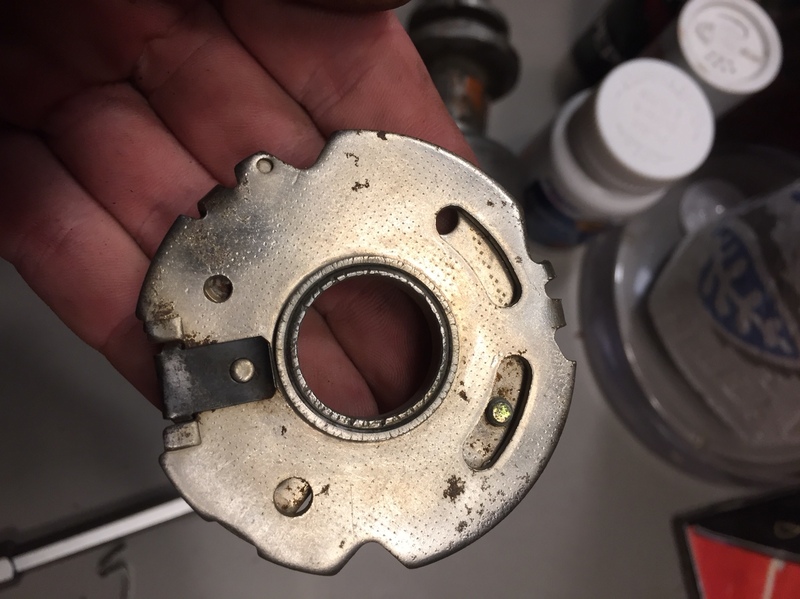 (3) a post 1971 dizzy can have its breaker plate riveted or welded to eliminate vacuum advance+retard. I’m trying option 3 first. I need a bit of help. I have 2 1974 Opel dizzys in decent shape. In this picture you can see I swapped out the heavier spring and instead have the lighter spring on either side. From another thread this seems right? Here’s my breaker plate. Can someone point out where to rivet it? Here’s the dizzy. Notice the inspection window on the bottom. This is one way to distinguish a 1973-74 dizzy. RallyBob modded mine and it was a '68 dizzy. Last edited by The Scifi Guy; 12-27-2017 at 09:22 AM. Didn't the '68/'69's have a dual can vacuum/retard? Yeah, it did. It also had a huge range of advance. The housing doesn't take the typical dizzy cap, I have to buy the older style. Now, Bob may have replaced the guts with a later type, I don't know. He drilled, tapped, and installed teeny tiny set screws in the mech advance stops so that the range of advance(retard?) could be limited and adjusted as needed. Are you planning on doing something like that Ky? I was under the impression the 75 and up dizzy were the most desirable for this application? Some men,you just cant reach...so you get what we had here last week...which is the way he wants it. Correct. And you can't do that modification to a pre-1971 distributor, the different design precludes it. If you are modifying it anyway, then any year after 1971 is just as easy to tweak. Bob, I see where you welded your plate, but I don’t have a welder. Would you recommend riveting the plates? If so where? Or would it be better to use JB weld where you welded? BTW I have the ball centered on the breaker plate. I believe that is the correct position. Lastly, would I use the lighter spring on both sides? I’m not going to use set screws since mine is a 2.0 and can handle more advance. Bob did mine for my previous 2.0, I've reused it on my 2.4 and haven't changed it's stop adjustments. I am under the impression that yes you do want to limit the advance on a 2.0, hence the set screws. As far as welding, just run over to the local muffler shop and have them zap it in a couple places. 2.0 with Combo, an SSD, and a DCOE 45 Jetting?